Having graduated from abroad (Slovak Technology University and Edinburgh Business School) and with more than 11 years working in foreign companies/organisations, the Director of DTK Consulting applies an international working style and always aims to improve professionality. All the staff of the Company are trained to reflect this way of working. With more than 4 years of operation, we see the segment of FDI companies, especially those new comers, to be a focus of our services in recruitment, HRM consulting and labour law compliance. This open letter, therefore, is to show our high interest in cooperating with FDI companies, and also those operating just from abroad, for the mutual benefits. First of all, I would like to send you the best regards and wish you good health and happiness. At the 2009’s year-end Consultative Group Meeting for Vietnam, the amount of ODA committed for Vietnam for year 2010 reached USD 8 billion, much higher than 2009. It is a strong signal showing the high interest and belief of developed countries in the comparatively improved investment environment in Vietnam. We hope this will give investors, especially those in the FDI field, a positive view and more encouragement to come to invest in Vietnam. 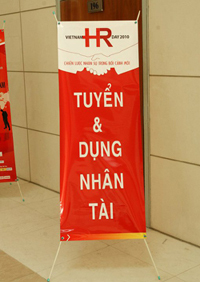 DTK Consulting Co., Ltd is a local company working in the field of human resource management (HRM) consulting. We provide HRM solutions for employers and those employees, who are professional staff or on management level. With employers, DTK Consulting provides recruitment services and consultancy in setting up and implementing HR systems (including HR operation procedures, human resource management, labour regulations and labour relations), evaluating human resource system (HR audit). With employees, DTK Consulting consults to help individuals in career orientation and management (such as preparing application profile, interviewing, guiding and giving advice in human resource field) in order that they will gain a balanced and best suiting career. With flexible fee structure and high quality work, DTK Consulting has been receiving strong support from closed friends, colleagues, and gaining confidence in Clients. Clients of DTK Consulting are all over the country, including individuals, small companies, groups of companies and also foreign organisations based in Vietnam or abroad. Especially, in 2008 and 2009 we were quite successful with recruiting all key personnel and providing HR consultancy for Minda Vietnam Ltd, a newly set-up Indian company in Vietnam. 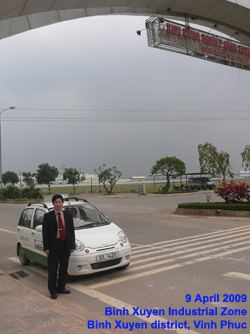 26 Lane 140, Nguyen Xien Rd., Thanh Xuan Dist. 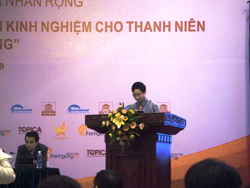 Recruitment, in particular, and human resource management in Vietnam, in general, still faces lots of challenges.